You are here: Home / S Note Guide / How to install S Note idea sketch and easy chart on Galaxy Note 4? Why S Note idea sketch and easy chart are not pre-installed in Galaxy Note 4? 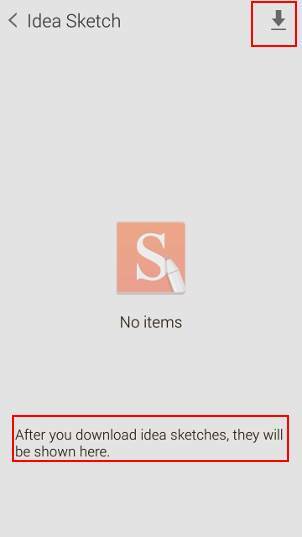 When trying S Note in Galaxy Note 4. you may notice, you cannot find idea sketch and easy chart. Are they removed in Galaxy Note 4 S Note? No, idea sketch and easy chart are still available in Galaxy Note 4 S Note. Actually, they are both get minor improvement in Galaxy Note 4. The reason behind this shift is the re-design of the S Note app in Galaxy Note 4. More and more features are now added as plugins. This may also open doors for developer to add more features to this unique app. So, it is a correct move. You may get new or updated features of S Note without waiting for firmware update. 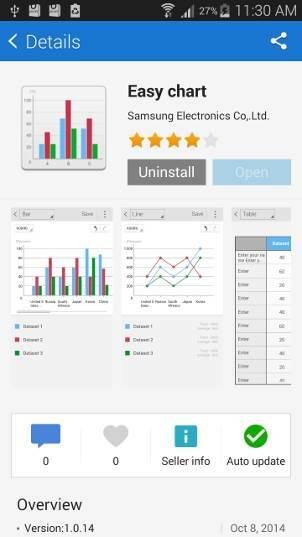 In Galaxy Note 3, if you go to menu–insert, you can find idea sketch and easy chart. 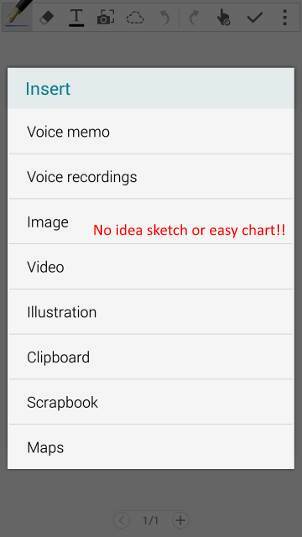 But in Galaxy Note 4, if you open or add a S Note, you cannot find idea sketch or easy chart as shown below. To get idea sketch and easy chart for your S Notes in Galaxy Note 4, you need install them first. 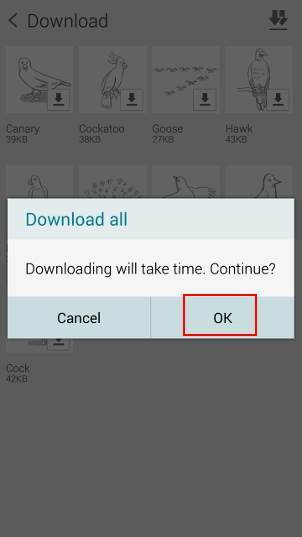 You may follow these steps to install S Note idea sketch and easy chart in your Galaxy Note 4. Step 1: Open S Note app. Step 2: Tap the menu key (3 vertical dots) in top left corner. By default, when you start the S Note app, recent notes are displayed. After tapping the menu key, you will get the S Note menu. 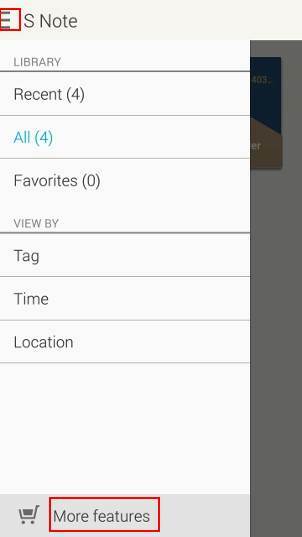 For example, you can change the S Note view to all or based on tags. To get idea sketch and easy chart for your S Note, tap More features in the bottom as shown below. In the more features page as shown above, you can find idea sketch, easy chart and background image. Now Galaxy Apps opens with idea sketch app. You can check the detailed info of the app. Tap “Install” as shown below. Acknowledge the permission of this app. The installation will be finished shortly. 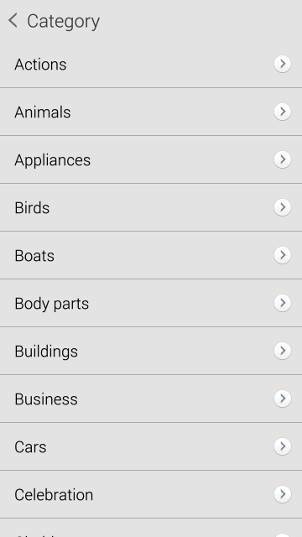 Please note, although idea sketch is installed as an app from Galaxy Apps, it is not listed in your app drawer because this is not a standalone app. This means this app cannot be used on its own: it is a plugin for S Note app. 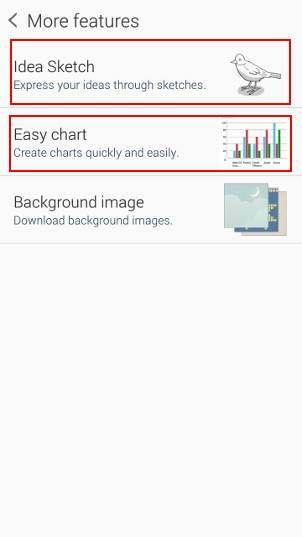 From “More features” page, you can also install easy chart for your Galaxy Note 4 S Note similarly. In the idea sketch app page, tap “Install” as shown below to install this app. Once it is installed, you will only have the “Uninstall” option. Please note, you cannot open easy chart as a standalone app. This is the reason why the Open option is grayed out. Now, if you open S Note app, start a new note or edit an existing S Note, you can find idea sketch and easy chart in menu — insert as shown below. 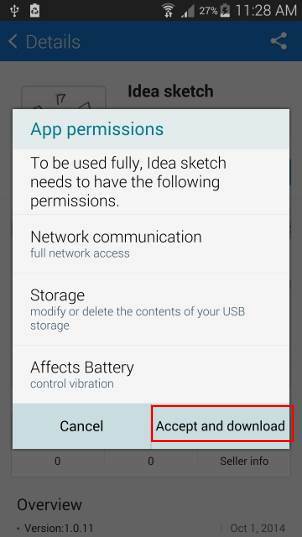 How to download idea sketches for Galaxy Note 4 S Note? 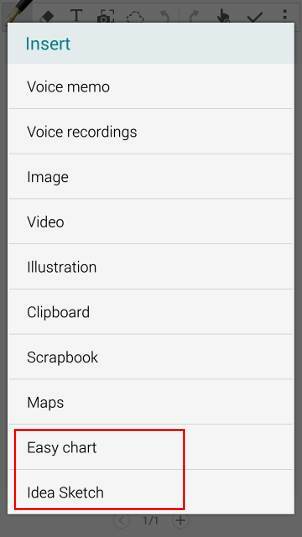 By default, S Note sketches are saved in Samsung servers (this is identical to that in all previous Galaxy Note devices). You can get them when you need them. But if you are not always connected to internet, it is recommended to download all or most commonly used idea sketches and save them in your Galaxy Note 4 so that you can use them whenever you want. After installing idea sketch app as mentioned above, if you go to S Note — Menu –More features –Idea sketch, you will see an empty page as shown below. Once you download any idea sketches, this page will list the downloaded idea sketches. Tap the download icon in top right corner as shown below. 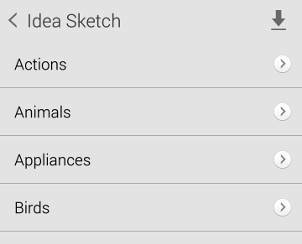 Now, the categories of all available idea sketches are listed. 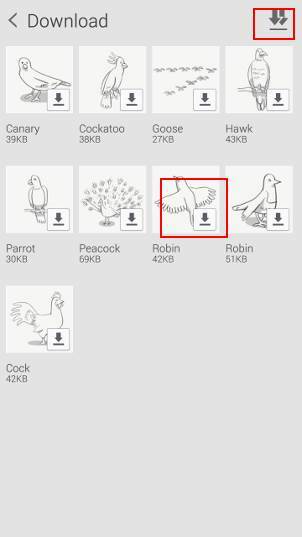 Tap the category you want to download, for example, birds. In the birds page, the available idea sketches of birds are listed. You can tap to select individual sketch to download. Once selected, the downloading will start immediately. You can also tap the download all button in the top right corner. This will download all idea sketches in this page. Of course, if you tap download all icon, a confirmation will pops out. Tap OK to confirm the download. You can repeat the downloading procedures for all other categories. 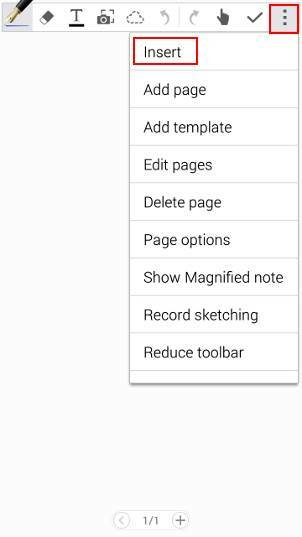 After you download any idea sketches, in the S Note — Menu –More features –Idea sketch page, you can find out that they are listed as shown below. You can tap the download icon in top right corner to download more idea sketches. 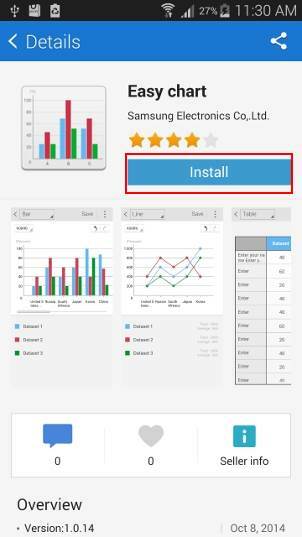 Can you install S Note idea sketch and easy chart into your Galaxy Note 4? Can you download the S Note idea sketches to your Galaxy Note 4? 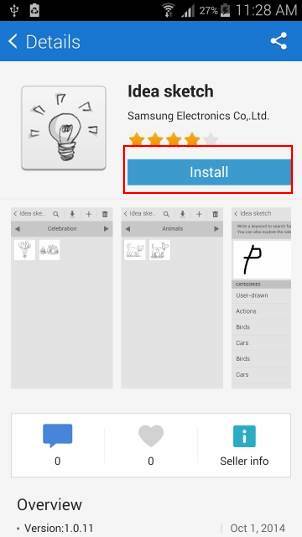 If you encounter any problems or have any questions to install S Note idea sketch and easy chart into your Galaxy Note or to download the S Note idea sketches to your Galaxy Note 4, please let us know them in the comment box below. For other S Note guides, please check S Note guide page. Unfortunately Easy Chart has stopped. Since Installing Idea sketch Im no longer able to use my S pen to copy Images or drawings. I need to uninstall it. You may explain the problem in detail. Yes. I can install anything other than the two s-note apps. Probably the app store fails to detect your phone model correctly. In this case, you may have to visit local Samsung service center to check it. I receive an error message: “Product does not exist in this store (4002)” when I try to download Idea Sketch or Easy Chart. Can you install other apps from Galaxy apps? Sometimes, the error can be caused by Samsung servers. Yes. I have the Edge. My colleague has the Note 4. He can download both apps but I get the error on the Edge. I am wondering if it is related to the phone. It can be related to the firmware or your Samsung account or your internet connection. Can you install any other apps from Galaxy apps? I cannot open Easy chart and idea sketch. When I try to insert a line and/or a bar, it displays a window saying “Easy Chart has stopped.” . The same case on idea sketch. You may try to reboot the phone to see whether it helps.